There are six tents on either side of the Main Tent, each accessible by a walkway, the furthest of which is approximately a 5 minute walk from the Main Tent. Ten of the 12 tents are designed to sleep two adults and all can be split into twin beds. Two tents are configured to accommodate two additional guests. We can cater for a maximum of 24 guests in the camp at any one time. Hire Mahali Mzuri exclusively for anniversary celebrations, birthdays or any type of gathering where you might like the place to yourselves! 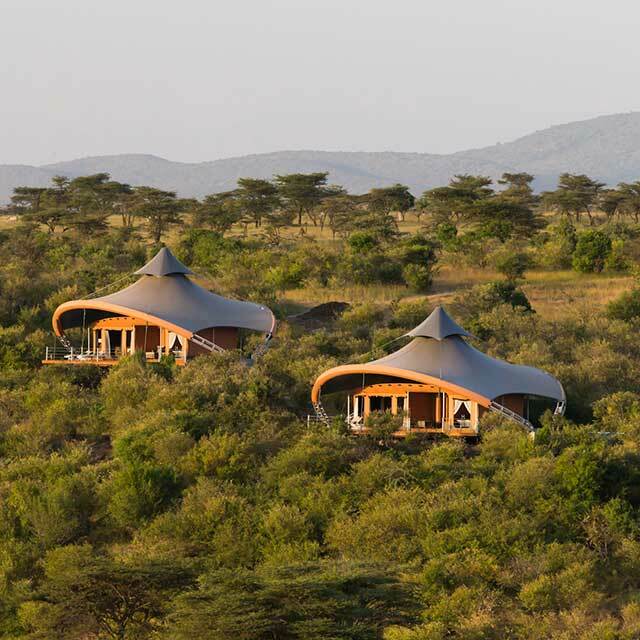 Exclusive use of Mahali Mzuri is quoted per night for use of all 12 tents and facilities. Exclusive use rates usually apply when booking seven or more tents. 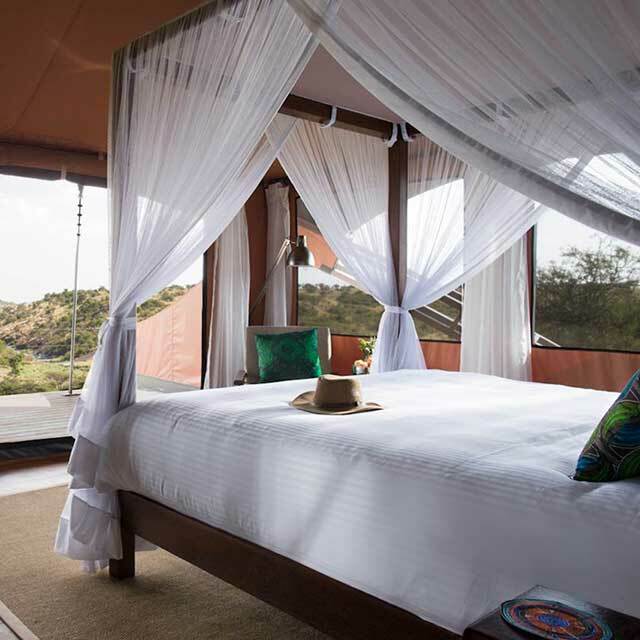 There are 12 luxury tented suites at Mahali Mzuri. Ten of the suites can be configured with either king or twin beds and two of the suites are four poster king size beds designed to accommodate up to two additional children on sofa beds in the living room. Rates are quoted per person, per night and are priced in US dollars. Rates are subject to change at any time and minimum stays may apply. Exclusive Use rates apply when taking seven or more tents. Minimum of two night stay applies. During migration high season our rates also include one complimentary day pass per adult to the Maasai Mara National Reserve when you book for at least 3 nights. Rates shown are per person, per night. Rates are quoted per night and are priced in US dollars for exclusive use of all 12 tents at Mahali Mzuri. Rates are subject to change at any time and minimum stays may apply. Exclusive Use rates apply when taking seven or more tents. During Migration Season our rates also include one complimentary day pass per adult to the Maasai Mara National Reserve when you book for at least 3 nights. Minimum of two night stay applies. Rates are quoted per night and are priced in US dollars for exclusive use of all 12 tents at Mahali Mzuri. Rates are subject to change at any time and minimum stays may apply. Exclusive Use rates apply when taking seven or more tents. Virtually all visitors to Kenya will need a visa to enter the country. UK and Irish citizens travelling to Kenya can apply for their visa in advance online using the Kenyan e-visa portal: www.ecitizen.go.ke. Visas are generally issued within two working days. Please note that the e-visa system only accepts Debit cards and is roughly US$51 per person. From 1st February 2016 visa fees do not apply to children under the age of 16. Visitors are also required to have at least two blank pages in their passport which must be valid for 6 months beyond your expected departure date from Kenya. As advice can change on a regular basis we recommend you check with the advice issued by your government’s State Department or Foreign Office before you set off on your journey. Children aged six years or older are very welcome to stay Mahali Mzuri and are able to join their parents on daily game drives. We have two tents which are able to accommodate a family of four, with sofa beds (180cm in length) in the separate enclosed sitting room. Children of all ages must be under parental supervision at all times whilst in camp. We have children’s books and games, plus a TV and DVD player for extra entertainment. We would be delighted to organise tailored activities to further educate our younger guests on their African surroundings and the local wildlife. Special food and beverages or simple snacks and light meals, such as sandwiches, can be prepared. Occasionally due to restrictions on the number of guests and vehicles allowed in the conservancy, we may not be able to accommodate extra children or adults in tents – please contact us for details. Can I hire a game vehicle privately? Yes you can. The cost to hire your own game vehicle is $600 per day. Private hire of game vehicles at Mahali Mzuri is subject to availability. Absolutely. Whether it’s for a birthday, anniversary, wedding or just a great opportunity to experience a safari with family, friends or colleagues, the Mahali Mzuri team is on hand to cater for all requests. Each tent at Mahali Mzuri includes a spacious seating area, en suite bathroom and large deck to maximise those amazing views over the plains. All our tents cover approximately 106 square metres including the external decks, and two of the 12 tents can accommodate up to two additional guests. All rooms are equipped with a hairdryer, sunscreen, insect repellent, torches, extra blankets, ponchos, bathrobes, slippers, a complimentary mini-bar, snacks, tea and coffee making facilities and hot water bottles. Power sockets in Kenya use the British standard 3-pin arrangement so guests visiting from other parts of the world will need an adaptor which we will provide in your room. Please note that the current in Kenya is 240 volts. How about cash? What's the currency? The currency in Kenya is the Kenyan Shilling. The Shilling is readily accepted for both large and small transactions however you may need at least $50 in cash per person to pay for your visa upon arrival in the country if you've not organised your visa prior to departure. The authorities at the airport will accept payment in Euros and British Pounds however amounts may vary and they are less likely to have exact change. Credit cards are not accepted! ATMs are available at the main international airport and in the larger towns however these reportedly can struggle with non-Kenyan cards so we recommend obtaining some Shillings before you depart for small purchases while you’re in transit (or if you plan on spending any time in Nairobi). 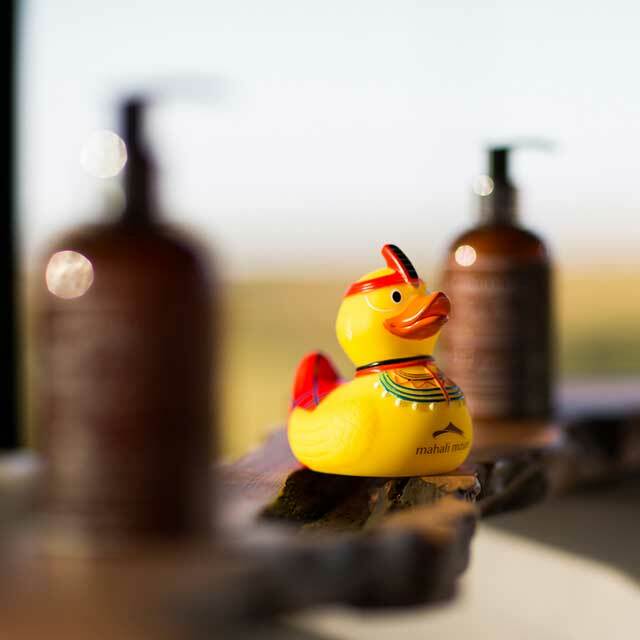 Once you arrive at Mahali Mzuri you will not need any cash, and if you purchase anything from the gift shop or book a spa treatment payment can be taken by credit card. What's the best time to visit? What will the temperature be? For game viewing the Olare Motorogi Conservancy has abundant wildlife year round, and Kenya’s position straddling the equator means there isn’t a huge amount of variation in temperature throughout the year. You can expect average highs of about 30°C/86°F in the months from December to March with somewhat cooler temperatures from July to September during the height of the migration. Due to its elevation temperatures in the evening do drop to around 15°C/59°F however it rarely gets much colder than this. Will I be able to visit the Maasai Mara national reserve? 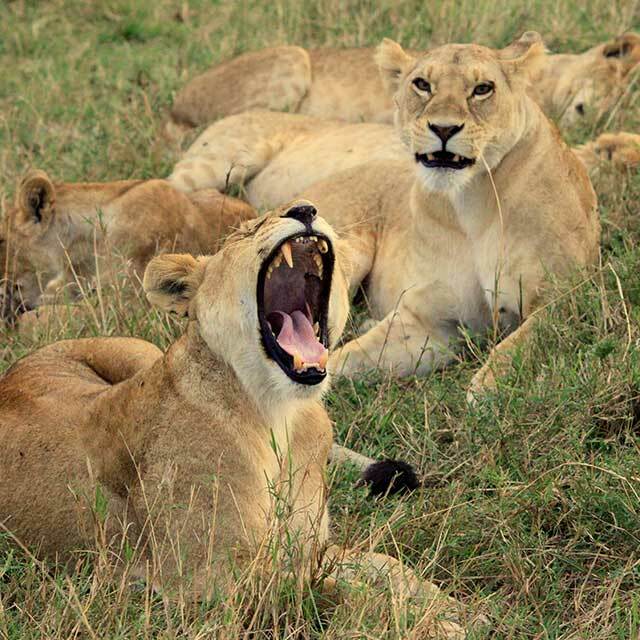 With all the abundant wildlife and careful land management policies in place in the Olare Motorogi Conservancy, it’s unlikely you’d need to go farther afield during your safari, but if you do wish to visit the National Reserve we can arrange this for you. A daily access fee per person will apply and this was US$80 at the time of writing. If you are staying with us during High Season for at least three nights we will include one day's complimentary pass to the Reserve per adult. What clothing and footwear will I need? For game drives you should wear pale or neutral colours. In the warmer months from December to March these should be lightweight, but take a windbreaker or light jacket for evenings. For the cooler and wetter months take a jumper/sweater, fleece or warm jacket too. Trainers/sneakers are fine for safari walks, and it’s a good idea to bring a hat and sunglasses – for all seasons. You can wear whatever you like around the camp, and while formal wear isn’t always practical, of course it’s up to you. Make sure you don’t forget your swimsuit. Do I need to have any vaccinations before I arrive? What are the arrival and departure times at Mahali Mzuri? Check-in is officially 2pm. If you want to arrive earlier we’ll make every effort to have a tent ready for you, but if not we’ll look after your bags so you can start enjoying yourself. Check-out of your room is officially 11am however we are flexible. Just ask us the night before you leave. If your flight leaves later in the afternoon we won’t leave you stranded and you are welcome to make use of the camp’s facilities until it’s time to say your goodbyes!